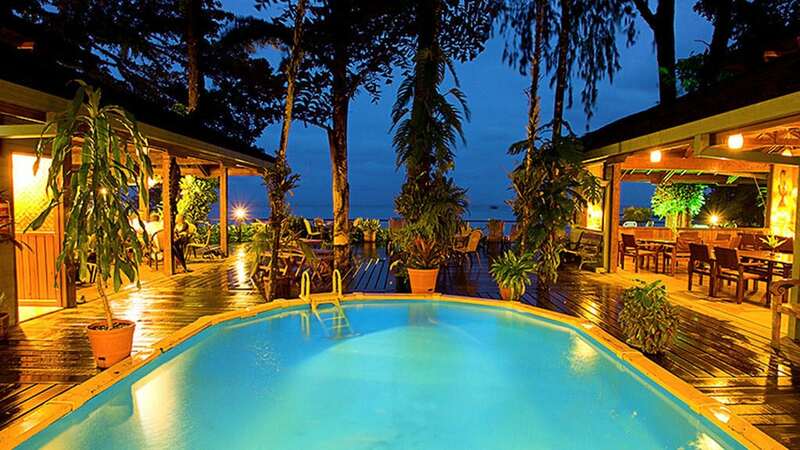 Walindi Plantation Resort is a beautiful resort for a land-based diving holiday. It is more than 29 years since the owners Max & Cecilie Benjamin opened the resort to visiting divers to explore Kimbe Bay’s spectacular reefs. Great diving and luxury accommodation are the reason that Walindi is one of the most sought-after destinations in Papua New Guinea. This is true for divers and non-divers alike. The beauty of its coral reefs is second to none, having delivered many stunning magazine cover photographs. Conditions are near perfect year round and the tropical ambience in the resort itself ensures a pleasant stay. The unique tropical setting under age-old rainforest trees makes Walindi Plantation resort a very special place. Although there is a small beach (dark lava sand), it is not a place for a typical beach holiday. Spending time on the veranda of your bungalow with clear views of the bay seems to be the favourite pastime in between dives. 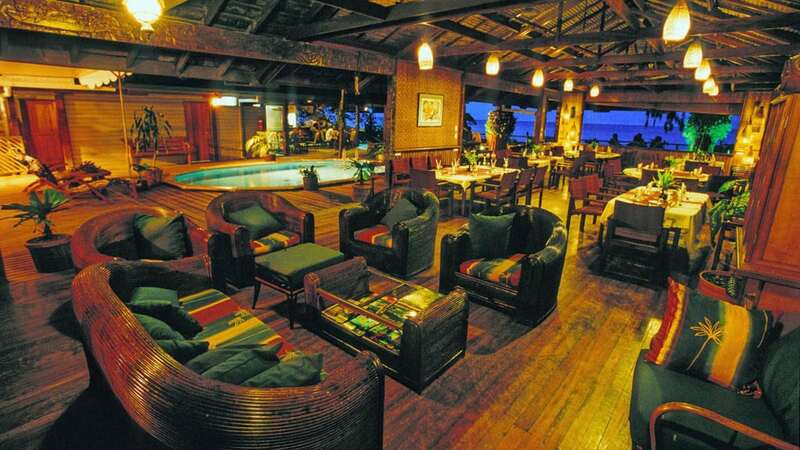 Walindi features a large common area with bar, souvenir shop, al fresco and indoor dining and a pool. Even your laundry will be done for you in Walindi, though you won’t need many clothes anyway. (Laundry service is included in the costs for the Bungalows and the Plantation House Rooms.) You can wear shorts and T-shirts all the time, no formal clothes are necessary. The western style food, mixed with local dishes, is very good and offered as buffet. If you come with your family and have kids, babysitting is also available. 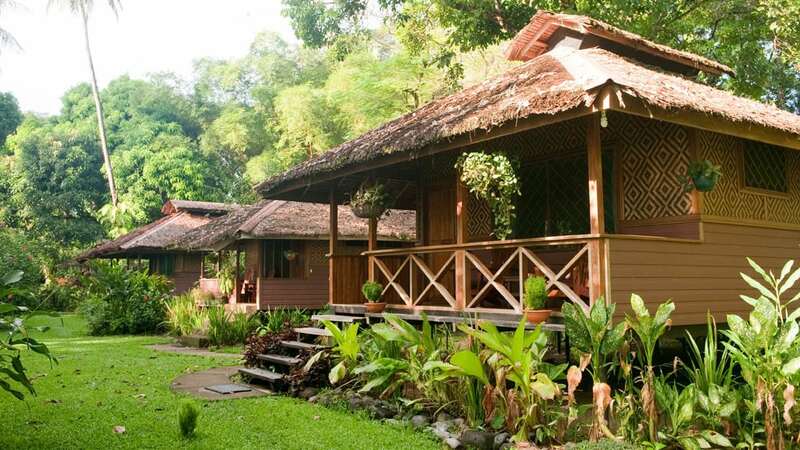 Near the waterfront, there are 12 private bungalows sheltered by large rainforest trees. The bungalows are equipped with fridge, coffee and tea facilities, private bathrooms and verandas and are a very comfortable place to be. Bungalows are available as single, twin/double or triple share. 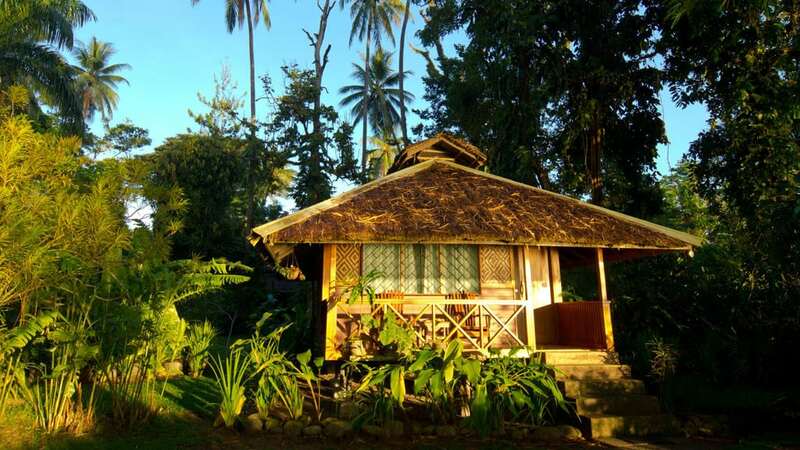 Walindi also has a second option for accommodation, the 8 ‘Plantation House Rooms’. They share a large common veranda, the rooms are bit smaller, but have all the same facilities as the bungalows, and are not directly at the waterfront. However, they are a very good low-cost alternative with private bathrooms to each room. These rooms are available as single or twin/double share. Neither Bungalows nor Plantation House rooms are air-conditioned but have ceiling fans. A natural breeze will cool down the rooms nicely. All rooms at Walindi have been fitted with a double power point with international sockets, making it very convenient for international travellers. Artefacts and souvenirs are available from the Blue Taro Boutique, situated next to the reception area. 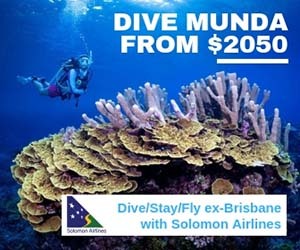 Items for sale include a range of PNG artefacts and crafts, Walindi and PNG T-shirts, jewellery, postcards, resort wear, maps and snorkelling equipment. Cecilie’s shop is well stocked with lots of PNG paraphernalia. You can ask the staff for guided trekking tours or go bird-watching into the rainforests nearby. An attraction not to be missed are the various hot springs in the volcanic mountains. 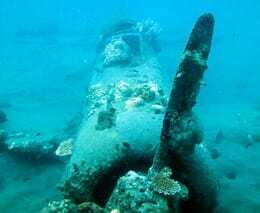 During your walks, you may also encounter some of the plane wrecks and tanks – all leftovers from WWII. The resort also has a couple of kayaks for use – which is a great activity in the calm and sheltered bay. 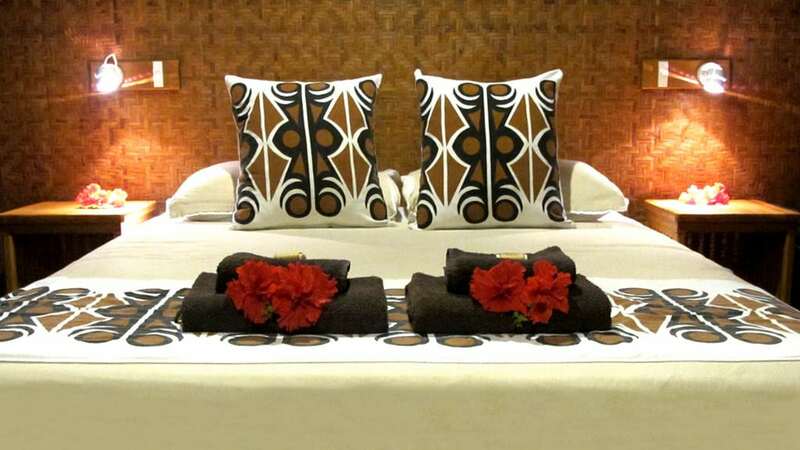 The centre is located a 5-minute walk from the actual resort and was established in 1996. It is operated by a local non-governmental organisation that is dedicated to the preservation of Kimbe Bay’s marine and terrestrial environments. They educate school kids and adults about the importance of looking after the reef. Walindi Resort has been very supportive of Mahonia in donating fuel, food and money to the centre. You can visit the centre and talk to resident researchers. Donations are, of course, always welcome. 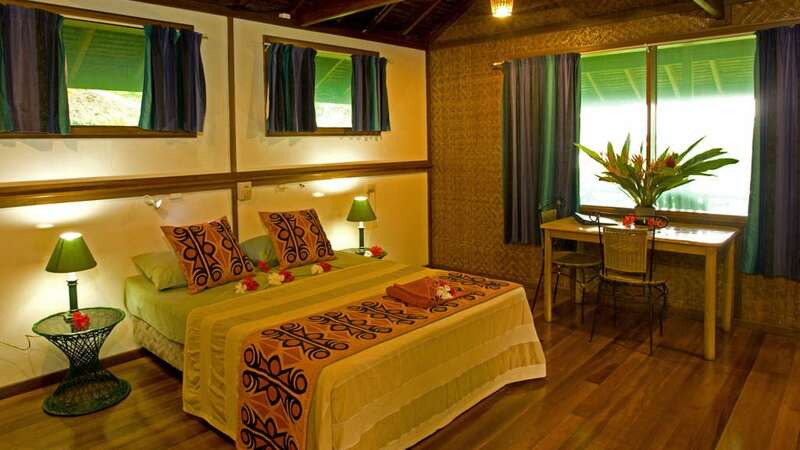 Walindi Plantation Resort has reliable mobile phone reception, and common areas have WiFi. There is also a guest computer used mainly for email, but you may use it to download your digital photos if you have not brought a laptop. Walindi is approximately a 45-minute drive from the airport in Hoskins in West New Britain Province. 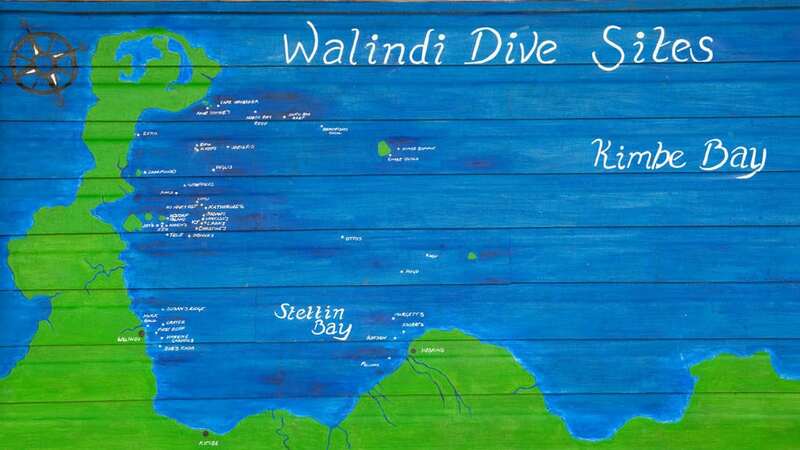 Walindi’s dive centre is located right on the premises. It has three dedicated aluminium dive vessels, ‘Ema’, ‘Charmain’ and ‘Cheyne’, which allow divers to split up divers smaller groups and guarantees uncrowded diving experiences in pristine waters. There are not more than 8-12 divers on each boat. Dives are supervised by one of the resident dive masters. Aluminium tanks and dive gear is stored on land right next to the jetty where the dive boats are moored. Each of the three vessels is around 9m with an exceptionally wide beam for the length. The boats are powered with Suzuki Marine’s most modern engines, ensuring plenty of power with minimum noise and fumes. This ensures a safe, dependable and comfortable boat, even when the seas are rough. seating areas and tank stowage for easy gear up. plenty of space for setting up, the boats are usually operated at either 8 or 12 PAX, 80% rated capacity. excellent overhead protection from the elements. rinse tanks for cameras and masks. protected stowage for diver’s personal effects. fresh water, coffee, tea are always on board and for longer trips, a super great picnic prepared by the hotel kitchen. easy to use boarding ladders. state of the art navigation aids and all Board of Trade safety equipment. full array of rescue equipment. complete oxygen delivery system and associated first aid. assorted ‘save a dive spares’. Of course no ship sails itself and at the base of the operation is Walindi’s fabulous crew. These professionals grew up right here on the Bismarck Sea and know these waters like the back of their hand. Most have been with the resort for many years and have further been formally trained in seamanship. But most important they have a ‘can do attitude’ when it comes to their guests and their safety and enjoyment of diving. On a typical day the divers go out diving with speed boats in the morning and spend the whole day out at sea. Two to three dives are offered. Lunch will be taken in picnic style on one of the many beautiful islands. All dive sites do have permanent moorings. The reefs of Kimbe Bay are a photographer’s paradise. Pristine and colourful corals are home to a variety of fish, crustacean and invertebrate life. 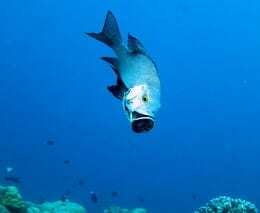 Many of the reefs have resident schools of barracuda, tuna and jacks. Almost all diving is done at the far western end of Kimbe Bay. Willaumez Peninsula on one side and the main land of West New Britain on the other side, shelter Kimbe Bay which is of impressive size and beauty. 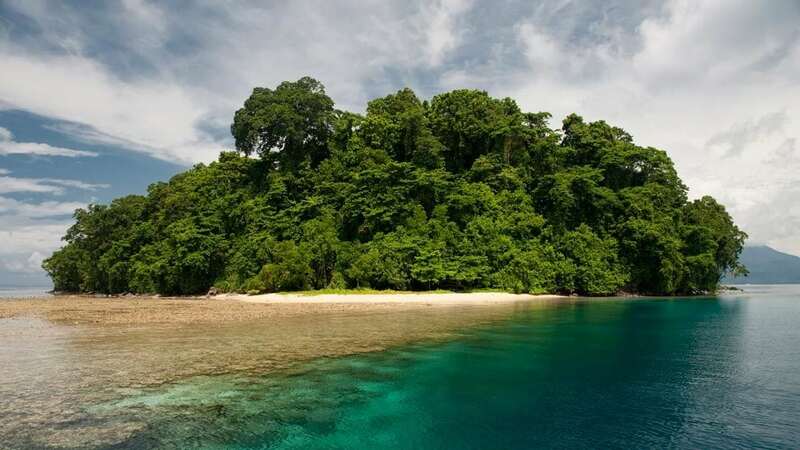 Characteristics of the West New Britain area include the huge range of giant soft coral species, the abundance of barrel and elephant sponges and the prolific marine life. Coral can grow to enormous sizes in Kimbe Bay, as it is so well sheltered there. Sometimes plate corals just collapse under their own heavy weight, because they can grow much bigger than normal here. Additionally whale, orca and dolphin encounters are not unusual here. In Kimbe Bay the diving is sheltered and usually very calm and relaxing. 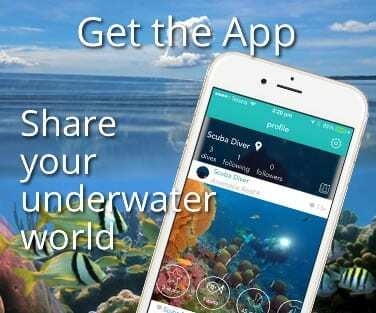 There are a lot of outstanding dive sites on more than 190 reefs which rise from approx. 600m (1800 feet). Drift dives are also possible and offered when currents allow. When dolphins are in the area, guests can get to snorkel with them by being towed behind the boat. Everything that is part of the tropical ecosystem exists in this bay. 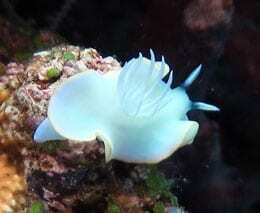 Dolphins, sometimes even orcas and dugongs but also tiny decorator crabs and most rare nudibranchs are to be seen there. These waters are home to prolific and diverse marine creatures and corals. Kimbe Bay has everything, from massive coral reefs, to atolls and older reefs, all close to the coast, were the coral growth is very well supported. The fish life is very colourful and rich: recent marine surveys in Kimbe Bay have recorded over 350 species of reef building corals, and over 900 species of fish. You can dive this area all year round, though the best season is from September to late December and again between February and May/June. In August it can be quite windy. Visibility is usually around 50m, water temperatures range between 27-30°C (85-90°F). Weather is tropical, with only little seasonal variation. 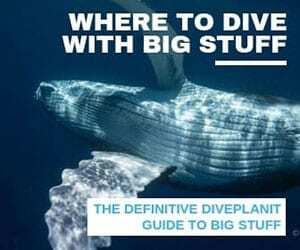 Diving is ideal for intermediate to advanced divers. As the reef tops are shallow, snorkelers will also enjoy the reefs. A dive holiday at Walindi Plantation Resort is for sure a winner. It offers a nice relaxing atmosphere and some of the very best diving PNG has to offer.